Lizzy Williams, a 3L from Austin, Texas, graduated from Smith College with a B.A. in History and a Certificate in International Relations. 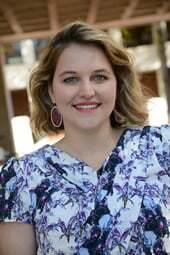 Lizzy is Co-President of the Women’s Law Students Organization, a Burks Scholar, a Student Attorney for the Criminal Justice Clinic, a Lead Articles Editor on the German Law Journal, and a Research Assistant for Professor Todd Peppers. After her 1L year, Lizzy worked in Frankfurt, Germany at a German Law Firm. Before coming to Law School, Lizzy held a Government Fellowship teaching English from the Austrian Federal Ministry of Education and Women’s Affairs. I was a summer associate with Sullivan & Cromwell, LLC in New York City. I mostly worked on litigation assignments, although I did try my hand at a few corporate pieces. I got a phone call from Assistant Dean Jarrett of the Office of Career Strategy at the beginning of August 2015. I was applying to law firms and he suggested I apply to S&C. I had a phone interview with a Litigation Partner and then flew to NYC for my call back interview where I got to meet a litigation partner and associate and a general practice partner and associate, along with recruiting staff and a recruiting partner who practiced in the Estates Group. This gave me a good sense of the firm. The next day, I got a call giving me an offer for the Summer of 2016. S&C’s NYC office is located in the financial district. The building, which they own, sits on the water, and from my office I could see boats floating in the Bay. I shared my office with a first year litigation associate which allowed me to have someone there, whenever I needed help. This summer, I got assignments through the formal assignment system, from my partner and associate advisors, and from lawyers that I met at networking events. This variety allowed me to work on a litigation project in most of the areas that S&C does litigation. I also took part in a wide range of projects within these fields, from researching, to drafting, to creating interview questions, to helping to organize facts. I was able to get a real sense of what kinds of projects are available to attorneys at S&C. Part of being a summer associate is juggling doing work with networking. I think my near over-involvement at W&L Law really helped me to keep both of those under control in the summer and to make the most out of all the opportunities. This summer I ended up drawing on things I had learned in Contracts, American Political Law Process, Complex Litigation: Injunctions, Close Business Arrangements, Publicly Held Businesses, Evidence and even Constitutional Law (for my pro bono project). My favorite thing is also what surprised me the most! I was a little nervous about what the people would be like, because there are so many negative stereotypes about Biglaw and NYC lawyers and firm life. But, I am so happy to say that, in my experience, those people are the exception and not the rule! I met so many wonderful people across every part of the firm: from partners, to security. All of the lawyers loved their work, even when they wished for a few more hours of sleep. It was an intellectually stimulating world of people working hard. I have a job! After graduation in May, I will be returning to Sullivan & Cromwell’s New York City Office, as a litigation associate.